Three regional workshops were held, organised by the encompass Programme, to help shape future digital care. 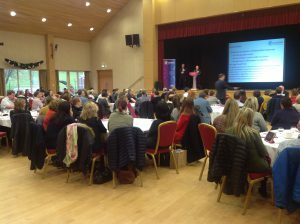 There was a high level of engagement from staff and patient representatives who took part, giving valuable input from their experience and expertise across a range of disciplines, grades and care settings. The programme is a Northern Ireland-wide initiative that will support transformation and introduce new digital technology to our Health and Social Care Services. This will mean that everyone involved in care will have secure, consistent access to the right information at the right time in the right place to better inform safer care. Here some staff talk about the challenges they currently face and the benefits a fully integrated system would bring to patients and those working in HSC.